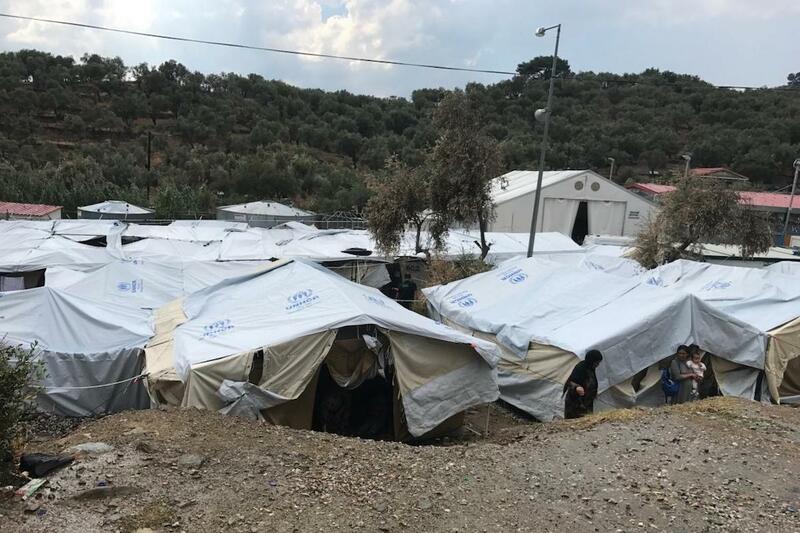 More than a dozen organizations assisting with various refugee initiatives in Greece have sent an open letter to Greek Prime Minister Alexis Tsipras, encouraging him to end his government’s abysmal treatment of thousands of refugees that are trapped on Greek islands in “containment” camps. Thousands of people are trapped on Greek islands— particularly Samos, Lesvos and Chios, in abysmal conditions. As winter sets in, the groups warn that without proper access to shelter, food, sanitation and healthcare, conditions will worsen. In a letter made public on Monday to Alexis Tsipras (full text of letter below), 19 international and local groups including Oxfam, Human Rights Watch, Greek Forum of Refugees and Hellenic League for Human Rights also criticized the lack of solidarity among EU member states in taking care of refugees fleeing war and persecution. “We urge you to put an end to the ongoing ‘containment policy’ of trapping asylum seekers on the islands if they arrived after the entry into force of the EU-Turkey [deal],” the groups said. “Some of those who arrived on the islands in the early days of the EU-Turkey [deal] have remained stuck there for 19 months,” the letter said. A recent increase in arrivals include a considerable number of women and children, the groups said. Thanks and I very much appreciate your consideration.